Granny Fishcake and Aunty Flippy agreed on few things…especially after the incident with the postman and the hot tub…but they both agreed that Eschscholzia californica (the California poppy)…was a glorious and happy plant to have in their gardens and they both grew great swathes of them. It will come as no surprise to you that these bundles of joy are native to…yes…California. They were discovered by Dr Johann Friedrich Eschscholz, a Russian physician in 1815 who must have been pottering about on the Pacific coast hoping to name something after himself. 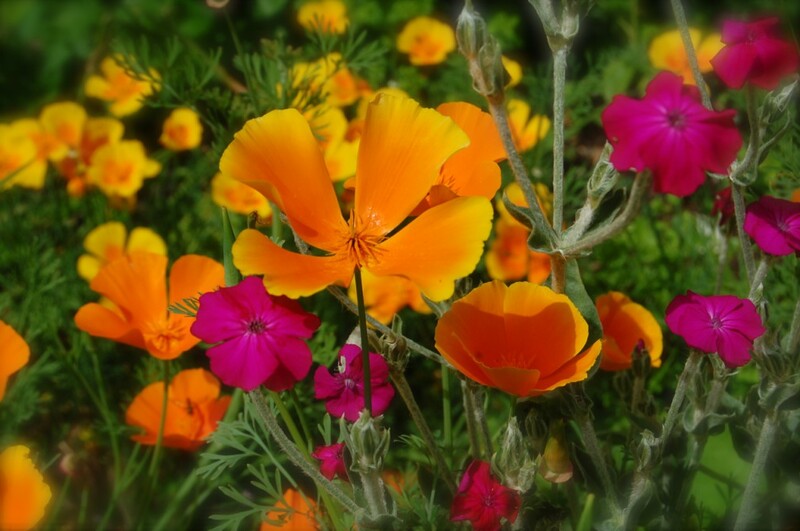 Later in 1890 Eshscholzia Californica became the state flower of California…and remains so to this very day…yes indeed. Technically speaking our friend Eschscholzia is a perennial, but is more commonly referred to as an annual because it can go from flower to seed and back again in just a few weeks and can set seed and flower again in the same season…how cool is that? *If you have a site in full sun with poor soil, then this is just the jolly job….don’t fertilize them…oh no no. *Prepare your seed bed by raking to a fine tilth. Don’t worry if your bed is stony as Eschscholzia loves stony ground, in fact sometimes I add pea shingle or grit to the surface of the bed and she will romp away on this…er…as it were. *I sow in straight drills, this makes it easier to weed, I leave a foot between rows to allow easy hoeing. Sow in ‘pinches’ of seed…this makes it easier to thin out later on. *Successional sowings are best, we sow from April. *When they are about 4 inches high, thin them to about 6 inches apart. *Don’t water them too much…treat em mean…they like it and are drought tolerant. * Personally I wouldn’t bother trying to grow them in pots…they don’t like being moved and as they are so easy to direct sow in the ground…why give yourself the extra work? If you are familiar with the Higgledy Garden vibe you will know we love our contrasting colours…we display Eschscholzia with piercing ‘Blue Boy‘ cornflowers and even with Borage…a rocking combo. I shall be harvesting some for the vase next week and will take some pics. 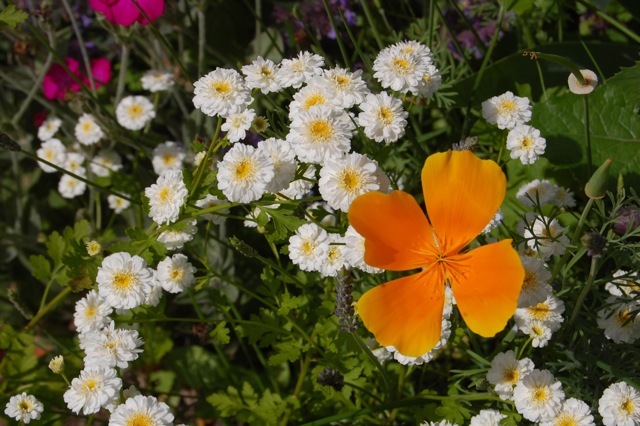 You will also find the lovely Eschscholzia in our ‘Seeds to sow in Autumn collection‘…12 packets of seeds from just £12 including postage and Packaging. Didiscus ‘Lacy’	How To Grow Achillea From Seed. Usually I would bring a notebook and pen, bbut now I use my smart phone’s notepad to write. Cd duplication is something that lots of artist go ith to burn their music to multiple discs. A song, a joke, a poem, just thoughts in their mind. I live in California and I am having some planting “issues”. Was doing research on poppies and came across your website. Who knew planting poppies could be funny! 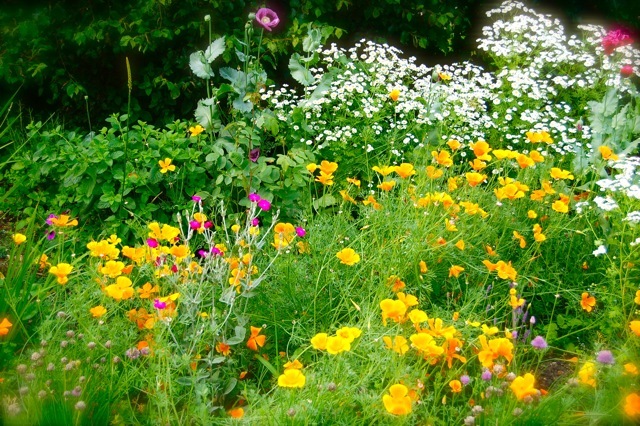 I use the very skilled Put Lots Of Autumn Seeds In The Ground And Feel Extravagant method. It’s very good. Until they seeds start sprutting and I am completely incapable of identifying anything. Could you possibly make a little Rogues’ Gallery of seedling photographs all in one place on your website, with a little identification tag, or a link to the relevant page on your website for that particular luscious item? I’m in a relatively new garden to me, which is Very Woodland and therefore there are very few scrub that absolutely no places at all that don’t have something else in the ground waiting to bust through – helping me identify what I want to nurture along and chat to my most flowery moments,, and what I want to help along to the great compost heap in the sky, would be unutterably helpful. Just a thought! Thank you! wonderful! Autumn sown flowers are always worth the effort…I have moved to a new patch and am missing out on them this year…boo hiss!